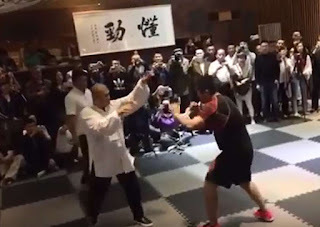 By now, I doubt there is anyone in the martial arts who hasn't heard of the debacle that constituted the recent fight between MMA fighter Xu Xiadong and self-described Yang style taijiquan "master" Wei Lei. Xu beat Wei senseless in under 10 seconds (and that 10 seconds included a brutal ground 'n pound). For many, the fight merely confirms what they already think: "taijiquan is useless for fighting". Certainly in the West, the UFC and MMA have long disposed of any "mystical aura" surrounding tai chi (see my friend's opening comments, for example). Of all the traditional arts to be regarded as "irrelevant" to combat, taijiquan would have to come in first (or last, depending how you look at it!). But in China, it seems that things have been a little different. That country hasn't had quite the same exposure to modern MMA. And it has jealously guarded its culturally iconic martial arts. So the beating Wei received at Xu's hands has left China reeling as a nation. In fact, its pride in its national fighting arts has been so badly bruised that Xu has had to go underground. 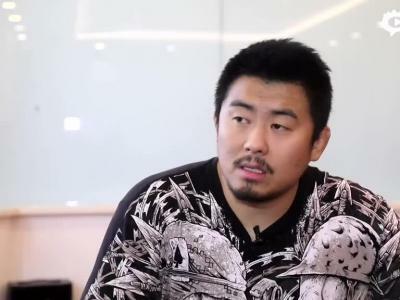 The Chinese Wu Shu Association has both silenced him, and forbidden him from fighting. It's all rubbish of course. It's quite apparent to everyone that Wei couldn't fight his way out of a wet paper bag. For example, when Xu attacked, Wei responded like a total beginner. In particular, you can see that Wei had/has a real fear of punches, backpedalling and cowering as Xu threw his attacks. That this ineffective flinch tendency is common to beginners is noted at around 5:06 in the video below which features an honest exchange between an aikido practitioner and an MMA fighter. Also noteworthy is the aikidoka's frank admission that he didn't have a clue what he was doing in the live, unscripted environment (something you can instantly see in Wei's reaction). This is something all of us who have some experience in fighting know - both when we start and later when we encounter someone else who is starting. So Wei's taiji skills were completely useless to him. But does that mean taijiquan is inherently useless for fighting or civilian defence? significantly different light on the fight and the events leading up to it. The problem doesn't lie with taijiquan's techniques and applications - it's how most (perhaps as many as 99%) of its practitioners train. To begin with, they don't ever spar, meaning they never test their techniques against a resistant opponent in an unscripted environment. They never learn what it means to face a committed punch, never mind take one. Now that is fine if you have no interest in fighting. I'm not disparaging taijiquan for health - at all. Indeed, I am a firm admirer of it, and health constitutes my primary reason for training in taiji today. "needle at the bottom of the sea"
However my readers will also know that I have written many dozens of articles on the fighting applications of taijiquan and the other "soft" arts of China (xingyiquan and baguazhang) - collectively known as "neijiaquan" or the "internal arts" (internal to the Wudang family). My applications for the internal arts have covered common street attacks, from curved punches and combination punches to precursor movements like lapel grabs (see adjacent gif). They have covered less common, but difficult to handle, attacks like front, roundhouse and knee kicks. taijiquan technique known as "brush knee"
And they have covered more ring/cage-related techniques, like defences against clinches and shoots. I have tested and applied all of these against resistance, so I have a good idea about how and why they work; their relative sophistication and the way they use natural lines of movement to utilise the attacker's force against the attacker. As some readers will recall, I have gone so far as to describe the internal arts as "advanced". Of course, if you read my essay on that subject, you'll see that by "advanced" I don't mean "better" or "more effective": I mean “movement that is harder to learn” or “learning that relies on what has already been learned”. technique "step back to ride tiger"
But taiji is not only a "hard to learn skill" - because all of the internal arts remain, essentially, fighting systems. Rather, as I have just noted, I believe they are also "advanced" because they are optimised for efficiency: they are highly specialised in relying on pure technique to overcome brute force. 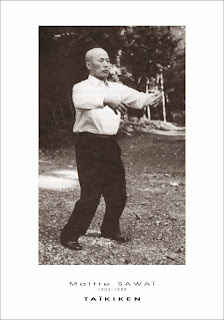 I have detailed what I mean in this regard in many articles, starting with this general one about the internal arts and moving on to this one specifically about taijiquan. I've always planned on writing articles about the general principles of xingyiquan and baguazhang, however the opportunity seems to eluded me thus far. For the time being, you can, if you are interested, peruse my essays how the internal arts avoid the pitfall of "dead time in stepping" (eg. 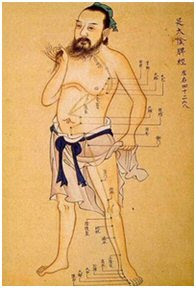 in the case of xingyi, by using a "drop step"). I've also discussed how many effective, technical fighters - whether in sport karate or MMA, etc - utilise standard "internal arts" methodology such as simultaneous hand and foot timing. Okay, so if all martial arts utilise such "advanced principles" from time to time, what's so special about the techniques of "internal arts" like taiji then? Well nothing really - not if one insists on using words like "special" to imply "more effective". The latter would be patently incorrect. In fact, the reverse is probably true: the internal arts are likely to be less effective in people training for a fight. They are almost certainly going to be less effective for someone wanting to learn to fight soon. Why? Because so-called "advanced" arts like taiji don't just "feature" or "include" the sorts of principles of efficiency in movement I've discussed above and elsewhere; they are entirely based on them. The concepts are hard-wired into every single application, every single technique, every single movement. In other words, to make taijiquan work as a fighting art, you need to be very, very good at what you're doing. One small shift in that angle and your opponent's punch will get through. One small misstep and you'll be in the worst possible position rather than in an advantageous one. So "advanced" might mean "optimal in efficiency", but if you have to be 99% accurate to make it work, how practical is it? Now I know what many will say after reading this: how do we even know it is "optimal in efficiency"? It might be a whole pile of garbage: ancient mumbo jumbo - old technology that has long been eclipsed by better methods and is now shrouded in a mystique and aura it does not deserve. From my perspective, I see a richness of technical detail encoded in traditional arts like taijiquan - detail that is based on hundreds, if not thousands, of years of evolution during times when fighting for survival was more prevalent. In much the same way as HEMA practitioners study old fencing manuals, I study arts like taijiquan and karate to rediscover the practical knowledge of the ancients. I don't take that knowledge as the pinnacle of development - merely as a starting point. But sometimes it's a starting point that has been long-forgotten. 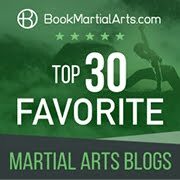 I'll note here that since I started writing this blog there have been multiple occasions where traditional techniques (many used in taijiquan) have "suddenly" emerged in MMA when they were previously argued to be worthless. Among these was the front snap kick. I've detailed others in many articles including my "Traditional techniques in MMA" series (1) and (2) and my recent article "There are no blocks in MMA?". Regardless of the value I see in taijiquan's fighting techniques, would I train exclusively (or even mainly) in a "soft" art like taijiquan in preparation for a bout? Absolutely not! I'd go back to less "advanced", more straightforward and reliable techniques and work up from there. 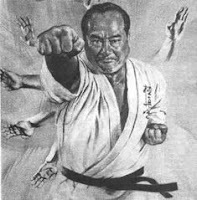 That's why my primary art for civilian defence is, was and will remain my first art, Okinawan karate: it contains a wide variety of options ranging from more fundamental to very advanced. What it lacks in constant emphasis on "soft principles" can be added as the practitioner likes - especially with the benefit of side training in the internal arts to inspire the practitioner. On this subject, when it comes to the internal arts as fighting methods, I see them less as standalone fighting methods and more as "high level plugins" - using approaches and techniques and relying on specific situational reflexes that one should only consider once one is already a good fighter. In this context, a mentor of mine (who also trains in both karate and the internal arts) was once asked by some visiting Chinese teachers asked why he "still bothered with karate" (presumably given that he had learned "better stuff" from them). He smiled and didn't reply. 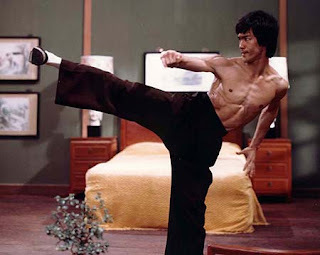 His private answer to me was: "because karateka know how to fight." Most practitioners of the internal arts don't. It's as simple as that. Knowledge needs to be applied to be effective, and very few bother to apply internal arts techniques to a sufficient extent to make them useable. I believe my mentor's comments about karate are well demonstrated in dojos around the world. While most internal artists train almost exclusively for health, karateka train with at least some combat concepts in mind. Most do a lot of hard sparring. Please note: I'm not criticising internal artists on this account: I've argued before that there is nothing wrong with training for health only. I'm now one of those. You can be a taiji health practitioner and I'll applaud you. Furthermore, you can do as I do and enjoy the analysis of applications - even if you no longer drill them with greater realism - for the sake of a deeper understanding of how to perform the techniques correctly in isolation, physical exercise, intellectual interest/stimulation or simply nostalgia. All of that is excellent. But whatever you do, don't be a "fajin fantasist". Don't confuse your twice weekly training in forms and a bit of push-hands as equivalent to an MMA pre-fight camp. This is, I believe, Xu's point. He's not saying that Chinese martial arts, particularly the soft ones like taijiquan, are "useless"; he's simply exposed one of many frauds in the Chinese internal arts: one who promises "powers" of the kind that break the laws of physics. Powers that simply don't exist. And when it comes to his "excessively violent" tactics in the fight with Wei, I can't help but notice that the latter is not really all that worse for wear in his post-fight interview. Xu's own interview certainly sheds quite a different light on the whole event and its lead-up than one might have assumed from the fight video and the subsequent brouhaha. Xu comes across less of a bully and more of a honest, principled fighter with little time for frauds. fear, pain and injury in myself. 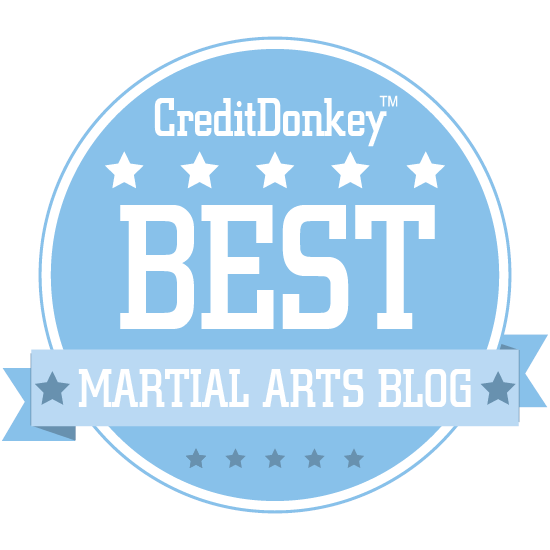 Of course, apart from the many millions of dojo fighting karateka around the world, there are many notable karateka now in MMA, including the likes of Lyoto Machida and Stephen Thompson. This is not to say that internal artists cannot be just as effective in the cage (or on the street). It's just that in order to be so, they will have to adapt. First, they will have to test their techniques against honest resistance - in free sparring. Then, like any karateka, judoka, BJJ players etc. they have to take into account the specific conditions of the cage: because traditional martial arts were not designed for that environment; they were designed for a civilian context. 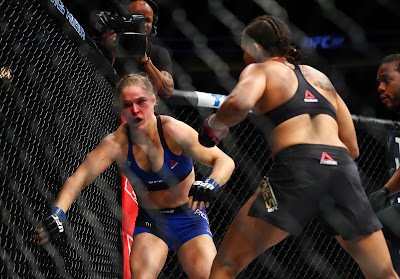 To be an effective sport fighter, you need more than techniques developed to address attacks common in a particular society and during a particular era. It's worth noting that this has already been done. 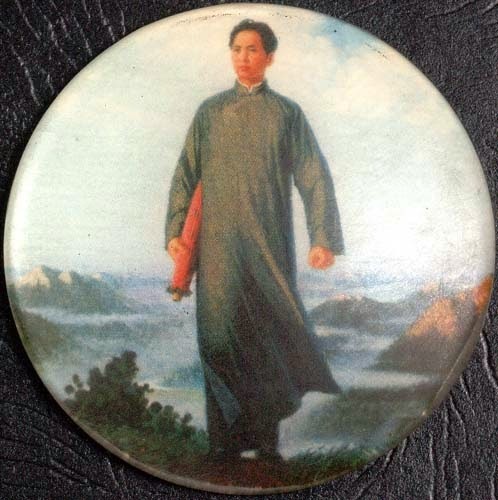 My own internal arts lineage is traceable partly to a student of Chen Pan Ling, Hong Yi Xiang, who from the 60s to the early 90s taught traditional internal arts and simultaneously coached his students to be champion full-contact fighters in his Tang Shou Dao school in Taipei. Fighters like Nick Osipczak are using elements of taijiquan in their cage fighting today. My friend at Nysanda is training his fighters using a range of Chinese martial arts, including taijiquan. So it can be done. Now on a side note, at the start of this essay I mentioned "string attacks" against a "zombie opponents". Well, it's interesting to see Wei Lei demonstrating such impressive zombie defences in the video below. It just goes to show that these can be pretty worthless when it comes to preparing you for a live opponent (probably because zombies - like boards - don't hit back). 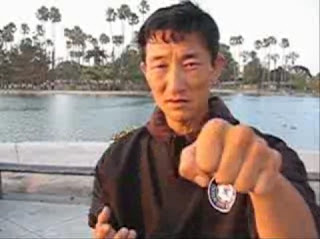 Contrast the above video with one where Wei Lei - the great "master" of taijiquan - is hopelessly outgunned in a simple game of push hands. Once again, this indicates how little experience he has against any form of resistance (even in pared back drills like the one below). Why he dared imagine he could best a professional MMA fighter is beyond me. In the end, the Xu v Wei fight has actually taught us nothing about the internal arts. It might, however serve as a long-overdue wake-up call to the many who still cling to the deluded belief that they can overcome a trained professional fighter despite having zero experience in actual fighting - all with the help of some sort of "magic". While I can see how this notion might be appealing to many a middle-aged martial enthusiast, it is nothing but a mirage. And as much as I love the internal arts for their sophisticated, refined techniques and intelligent philosophy - relying on softness to overcome hardness - none of the usefulness of the internal arts is remotely related to this mirage. The real "magic" of an internal art like taijiquan lies in its knowledge - the honest and diligent application of which has been sorely neglected. "It is all over Chinese cyberspace that the comp is a setup. The taichi man in interviews says that his master asked him not to use the deadly techniques as he does not want to kill. Now he has more students enroling to learn those special techniques. The MMA guy (a nobody until he beat the taichi guy...) became the local hero enjoying heaps of new students. It was an excellent marketing plan." My response is that the theory sounds like just another after-the-fact obfuscation by the Chinese Wushu Association officials etc. to offset/avoid embarrassment. Wei might be okay, but he still copped a fairly nasty thumping. I doubt he would have put his hand up for something as painful, not to mention humiliating, as that: it's just not human nature. And Xu really has become a marked man: he won't be fighting or talking to anybody for some time (unless, perhaps, he starts to sing from a different songsheet and throws some fights etc.). No - I'd say what is "all over Chinese cyberspace" is yet another excuse for Wei, this time clothed in slightly more credible attire than "my shoes were slippery" or "my techniques are too deadly". In fact, the excuse is embarrassing in its desperation and implausibility.